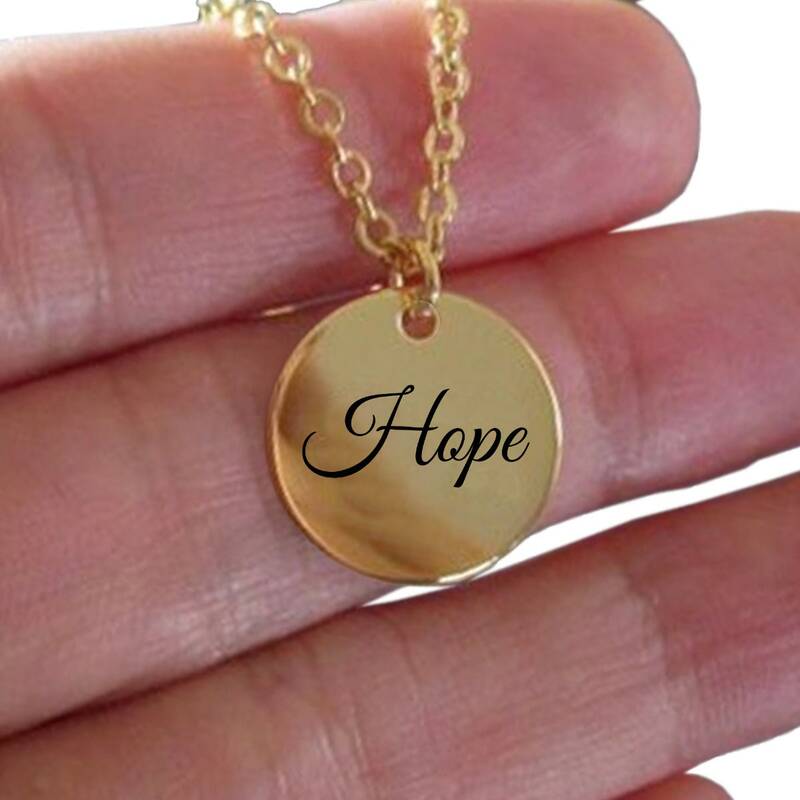 Beautifully laser engraved 18k gold hope inspirational necklace. Makes a wonderful uplifting gift for birthdays, graduation or a heartfelt get well message. 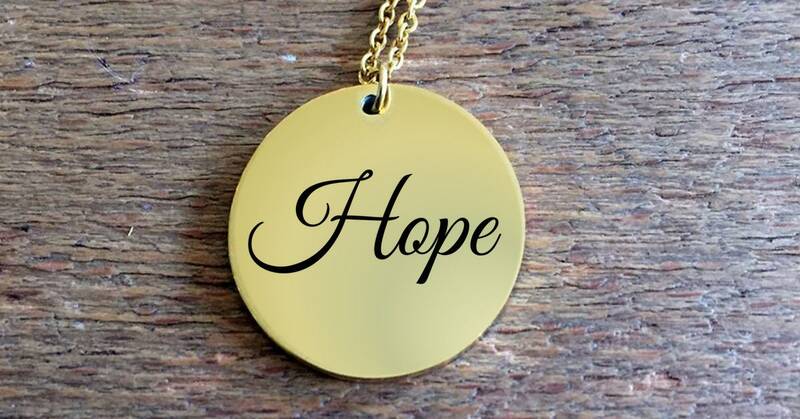 A great piece of jewelry to remind us that every day we can and must have hope.